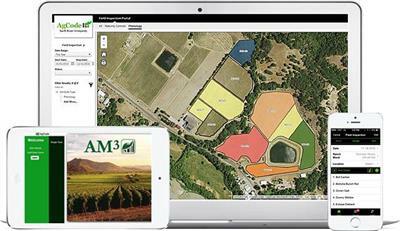 Record your harvest in the field with your smartphone. Designate products for immediate shipping or storage. Keep your inventory up-to-date and accessible in real time from anywhere. Print labels in the field using your smartphone or table and a mobile printer. IntelliFarms’ Energy Program combines the science of soil with the industry’s only technology that gathers the right field data. This powerful duo allows growers to maximize growing potential by feeding the soil exactly what it needs, when it needs it. By CrossControl based in Lancaster, PENNSYLVANIA (USA). By Farmsoft - Tenacious Systems Limited based in New York, NEW YORK (USA). One operation device for the complete machine park. The BASIC-Terminal TOP complies with the ISO-Standard 11783 and is the central 'man-machine interface'. It is used to display and enter data. The data exchange with the electronic control unit (ECU) on the machine works via the ISOBUS. By Cropin Technology Solutions Pvt Ltd based in Bangalore , INDIA. By Codema Systems Group B.V. based in Bergschenhoek, NETHERLANDS. SercoNet grants you quick and easy access to the process computer via the internet. SercoNet runs on any pda and smartphone. So you can have access to critical company processes anytime and anywhere. By Sercom Regeltechniek B.V. based in Lisse, NETHERLANDS. ABS Dairy InFocus involves the strategic use of proven beef sires on dairy cows within a comprehensive breeding plan. InFocus enables dairies to increase cash flow and improve future herd genetics. Lower performing cows are bred to beef and calves are sold at a premium. Top performing cows are used for heifer replacements. By ABS Global, Inc. based in DeForest, WISCONSIN (USA). The IPM forecasting Module for Grapes provides the final step in linking your weather data to actual pest risk, giving you a powerful new tool in the battle against crop pest damage. The Integrated Pest Management (IPM) Module for Nut Trees provides the final step in linking weather data to actual pest risk, making it a powerful new tool in the battle against crop pest damage. Capture your data for labor, equipment, materials, inspections, etc. 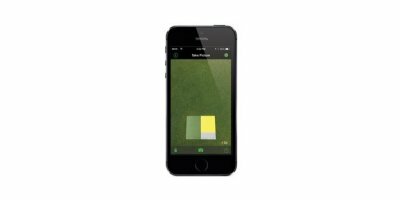 for all Agricultural businesses, Harvesting, Sales, Procurement, Commercial services (Lawn Maintenance, Landscaping, Pool Services, Pest Control) and any other business where you collect data in the field. By Ganini LLC based in Davie, FLORIDA (USA). RAMAS® IRM (Insect Resistance Management) is a software platform for modeling the risk of pest adaptation to Bt crops under a broad range of resistance management strategies. The tool has enough flexibility to address all major insect crop pests through user-defined life histories. By Ramas (Applied Biomathematics) based in Setauket, NEW YORK (USA). By AgCode, Inc. based in Glenwood, MINNESOTA (USA). By Milkplan SA based in Kolchiko,, GREECE. 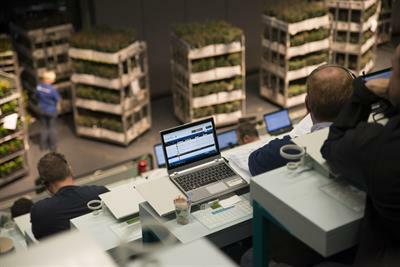 Designed on the same platform as Picas Enterprise, Picas Standard Edition is an easy to use, affordable software solution for growers requiring a moderate level of automation. This scaled down version of Enterprise includes seamlessly integrated core modules for basic management functionality, and the ability to grow your system over time. By Innovative Software Solutions based in Grand Rapids, MICHIGAN (USA).